Our Hebrew brothers passed along a wonderful gift they received from the Creator; “The God who rests”. In the creation narrative, YHWH created the world in six phases or days. On day one, the heaven and the earth were created and light was separated from darkness. YHWH gave names to the light which He called day, and night, which he gave to darkness. This is a little confusing because how could there have been the first day until day was created and named. But that was settled fairly early, probably by a committee, and things moved along to day two, where YHWH created a firmament or dome to separate the waters on the earth from the waters in heaven. Day three was pretty busy because land was separated from the sea and then vegetation sprang forth. John Muir might have conveyed this as the beginning of the tree and plant people. Light, being what separates order from chaos, needed to come from somewhere so on day four, two great lights were set in the heavens. One to rule the day and one to rule the night, along with the stars which must have taken a while. These lights were rather crucial because their arrival made possible the seasons and the passage of time. Day five brought the birds and sea monsters. 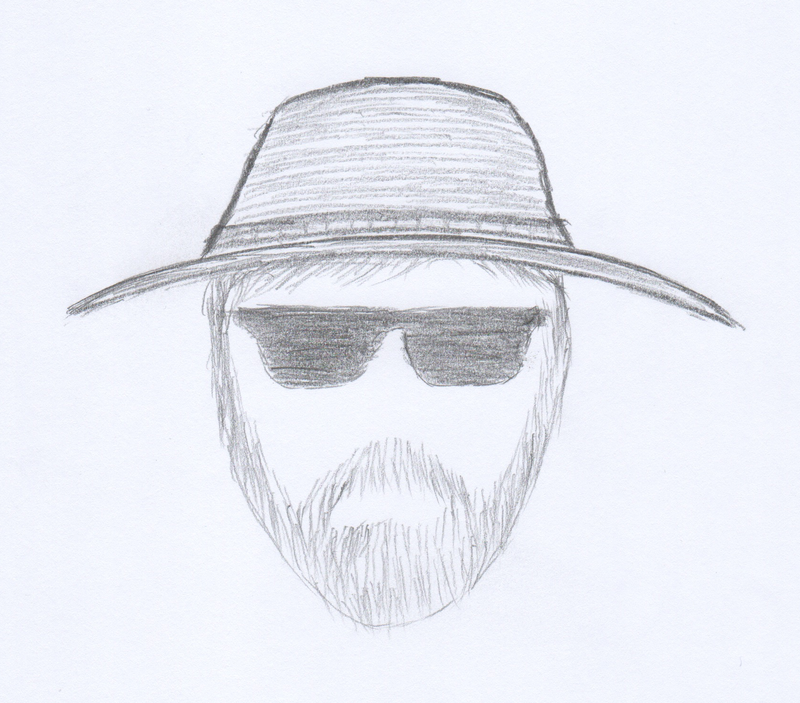 And then, day six. Walking beasts, crawling beasts, slithering beasts; all according to their own kind… and it was good! But there was one more thing to do before sunset. YHWH needed to somehow manage this creation. All the plants and animals needed names, not to mention the rivers and mountains (which they weren’t). So YHWH gathered up some dust from the ground, breathed on it, and man became a living thing. YHWH put man in a garden where they took longs walks in the evening and talked. There was balance in Creation. Now we can debate how things worked out since that moment but that’s not the point of this story. The point is that after all the hard work that went into creating the universe, YHWH took a break. And it must have been pretty important because He blessed the seventh day and hallowed it. The God Who Rests. So after that, the narrative got pretty interesting because there were tales of romance and treachery and betrayal. There were stories of kings and war and mighty nations. YHWH had gotten pretty fond of one particular man named Abraham and promised him that his descendants would become a mighty nation and they did but there was a problem. These descendants were under the rule of a dictator called Pharaoh. Pharaoh ruled over the most powerful country on Earth called Egypt, and controlled all the food production in the known world. Abraham’s children, by then were called Hebrews, and they were responsible for making all the bricks necessary to build the storage bins that held the world’s production of food. Pharaoh apparently missed the part about resting on the seventh day. YHWH was none too pleased because the seventh day is when He delighted in the fellowship of His people. So He set a bush on fire near where a shepherd named Moses was hanging out in the wilderness. Now many strange and wonderful things occur in the wilderness, where one is free from the noise of civilization, but to see a bush on fire that isn’t being burned up was really out of the ordinary. Adding to this oddity was the fact that the burning bush was talking. YHWH, being the creative force He is, tends to have a flair for the dramatic and during this conversation with the bush, it dawned on Moses that YHWH wanted him to lead these Hebrews to a new land. The adventures of this mass exodus were epic. There were plagues and fire and locusts and death angels and the parting of the sea. Once it was all over, YHWH wanted to make sure that His people got the message that the seventh day is really important, among other things. So Moses went out for a hike in the mountains and he and YHWH discussed the Top Ten Things for a Peaceful and Prosperous Life. Moses didn’t have a blog at that time. Nor did he have a piece of paper handy. So YHWH helped out by carving the very first Top Ten List into tablets of rock, which Moses had to haul back down the mountain without a backpack while wearing sandals. The first three of the Top Ten were YHWH’s expectations regarding His relationship with the Hebrews. That last 6 were commandments for people respecting each other. Love God with all your heart and love your neighbor as yourself. It’s that fourth commandment that is the pivot point. It’s the bridge. YHWH knew He couldn’t just declare a set of rules and leave it at that. Relationships are not about rules anyway. Relationships are about spending time together; about being in each other’s presence. This is important. After all, YHWH started the whole idea in the very first week and somehow, it had gotten overlooked and forgotten. And humanity paid a heavy price for it. It’s tough to say which, if any of the commandments is most important but it is pretty clear that the fourth commandment is the one that holds it all together. The God Who Rests wanted the Hebrews to remember the Sabbath and keep it holy. And so the Sabbath is a day set aside for prayers and meditation. It is a time for family and friends to sing songs and tell stories. It is to be shared freely with visitors and guests. It is a time of feasting and of fasting. It is a time to cease from the activities of commerce and production (the making of bricks), which are the concerns of men, and to make time and space for long walks in the evening with The God Who Rests. It’s the bridge between Heaven and Earth. It began in a garden where YHWH put man to live and when man forgot, YHWH reminded him on a mountain top. It seems that the wilderness is always around when God has something important to say. And that’s a story for another time. 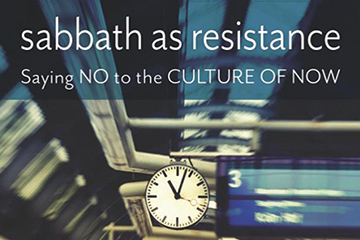 I found Walter Brueggemann’s book, “Sabbath As Resistance: Saying No to the Culture of Now” to be of immense influence in forming my thoughts for this post. It is a quick read but very rich in it’s brevity. This entry was posted in Encounter Creation and tagged Sabbath, The God Who Rests, Walter Brueggemann, Wilderness Sabbath on January 22, 2016 by blogginggazelle. Love this post, my friend! I’d have to argue that we moved from first to second day so quickly precisely because THERE WASN’T A COMMITTEE!!! Just one awesome GOD!!! Keep these coming! I’m enjoying them immensely!